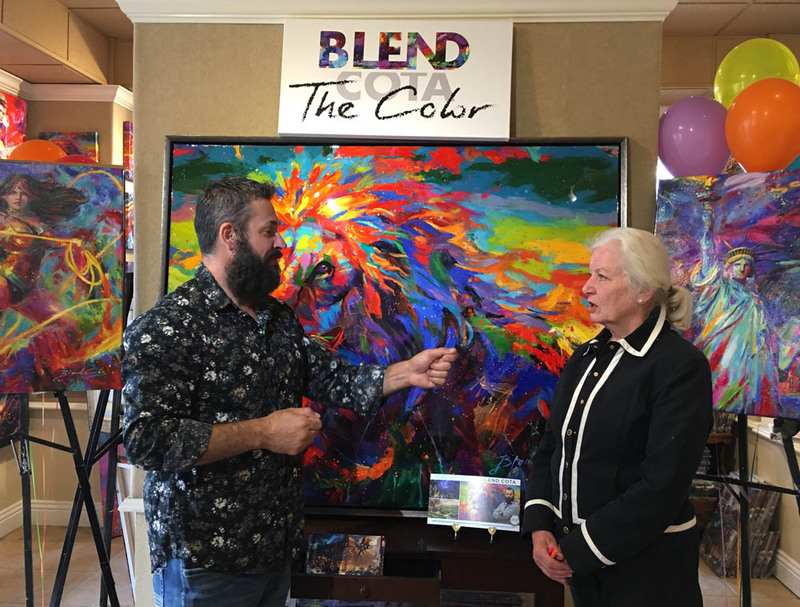 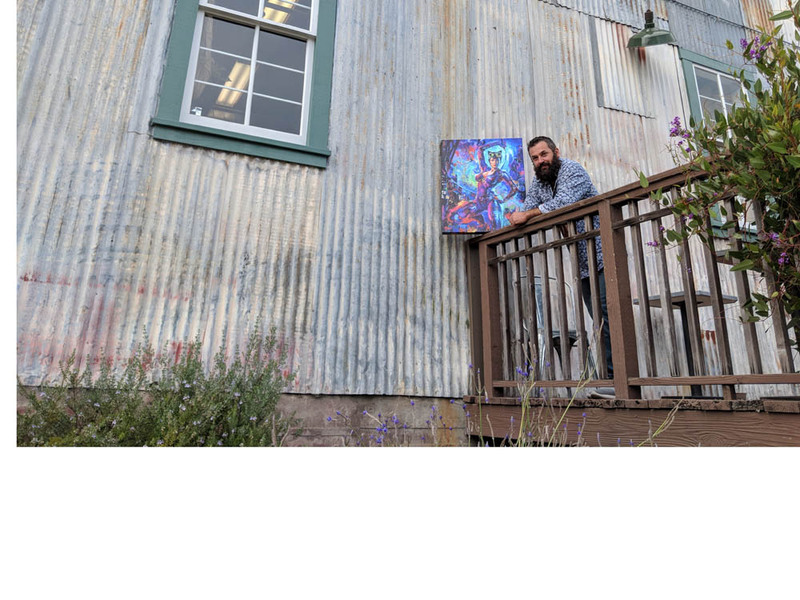 Over the course of three days, artist, Blend Cota, was on the Monterey Peninsula showing off his latest work. 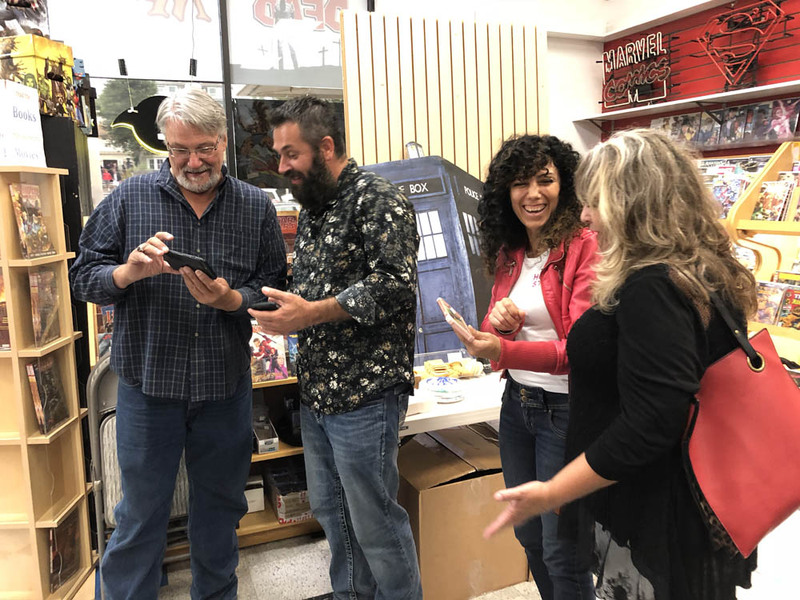 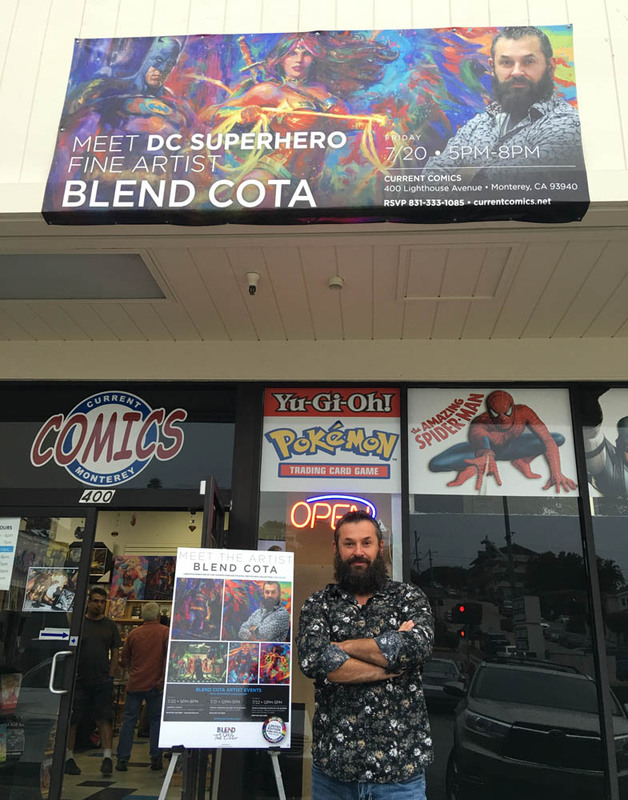 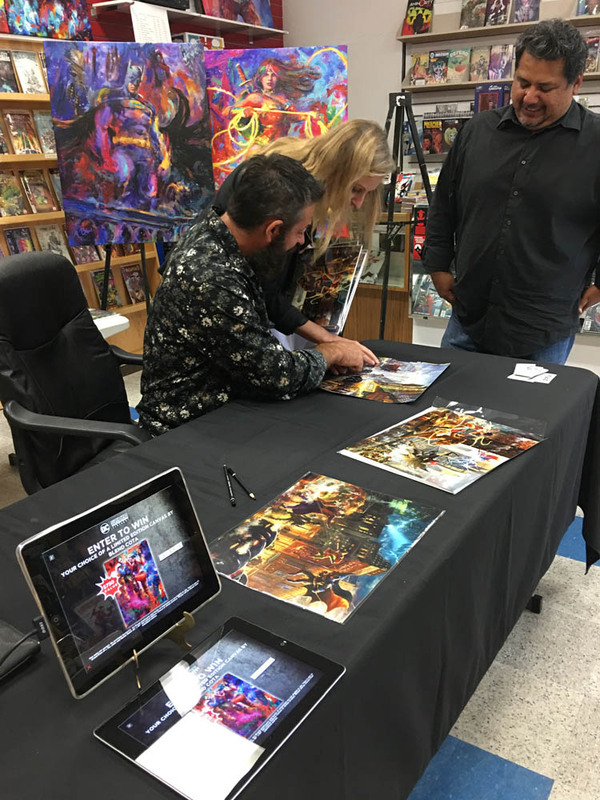 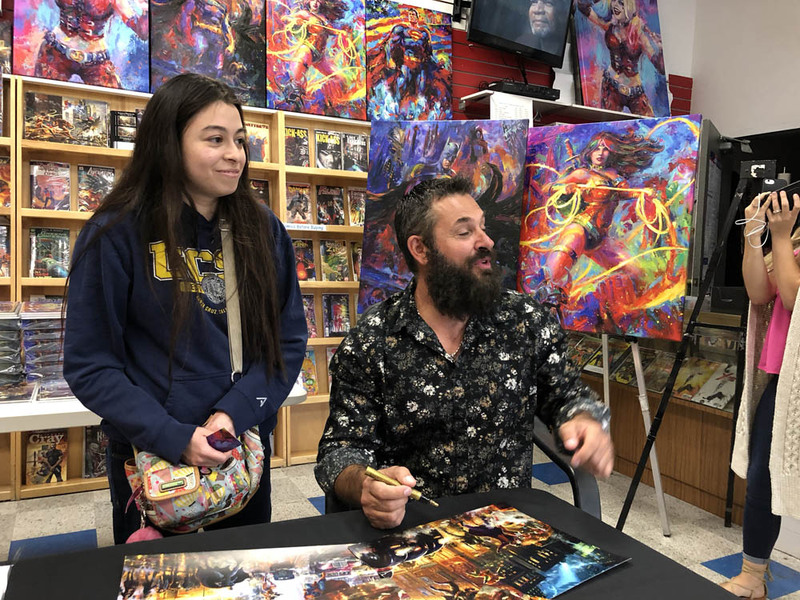 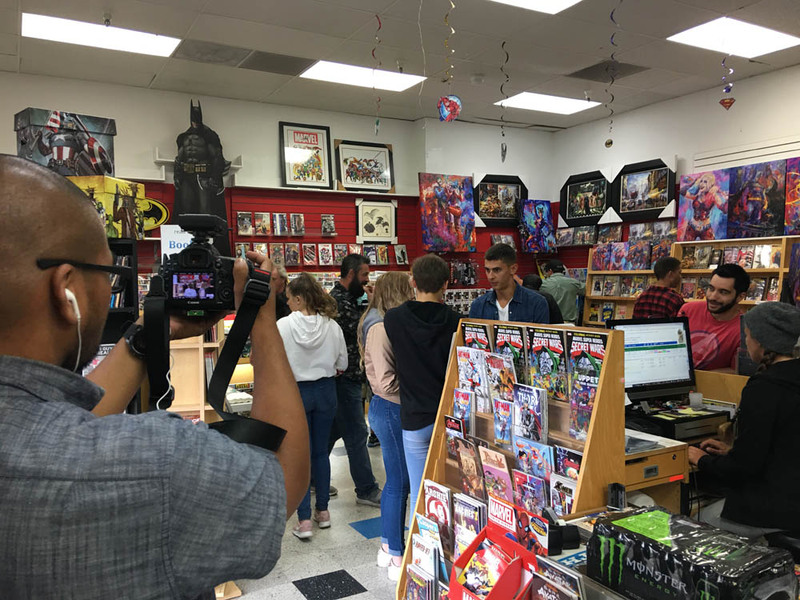 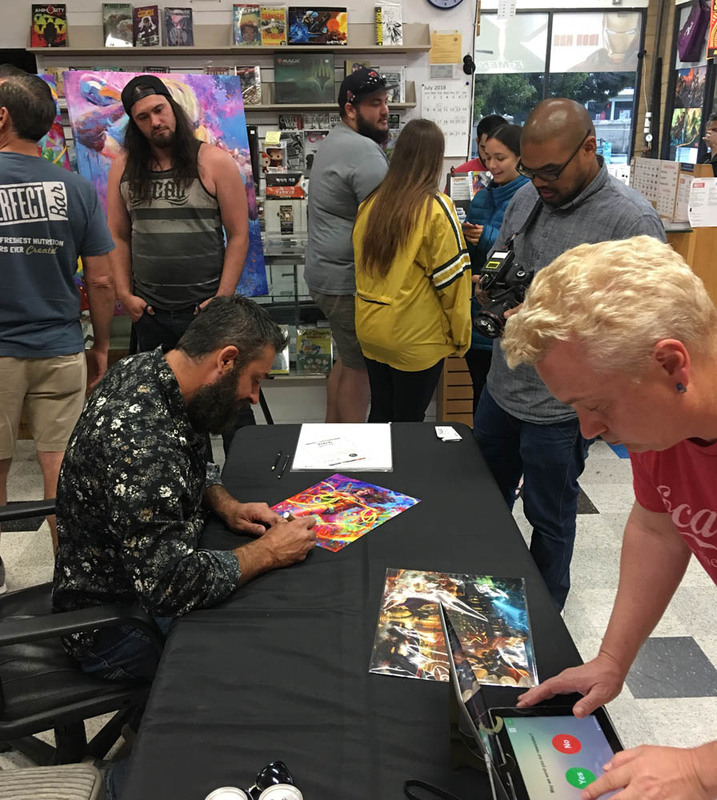 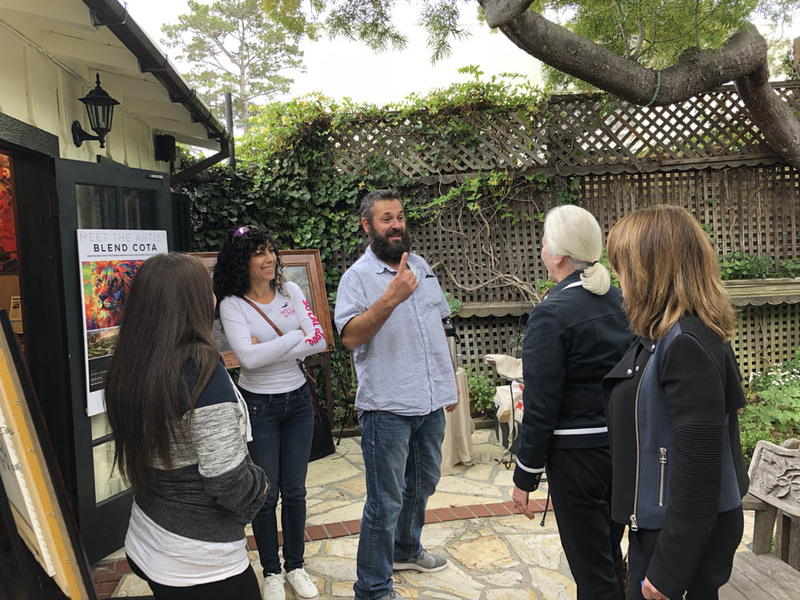 Blend kicked off his event schedule at Monterey’s Current Comics, where he officially unveiled his latest DC Comics piece, Catwoman. 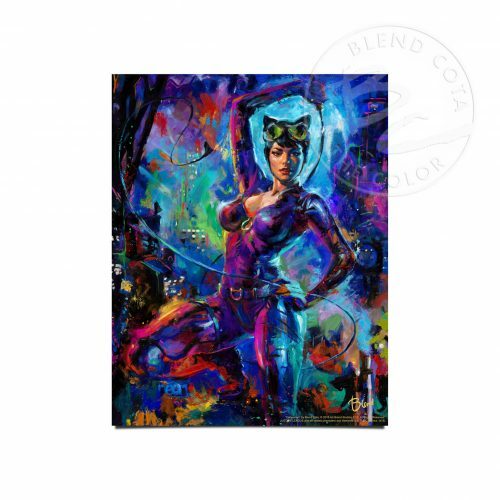 His bold use of colors for the popular feline character was met with rave reviews. 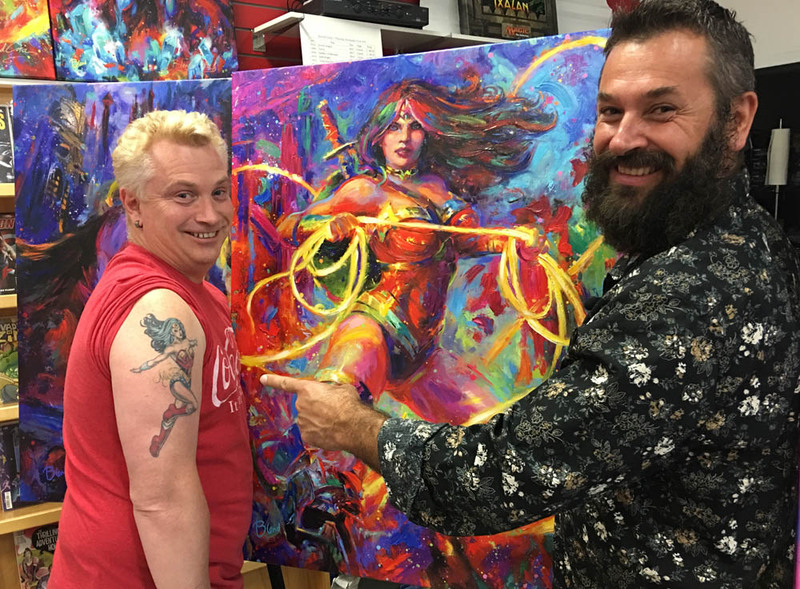 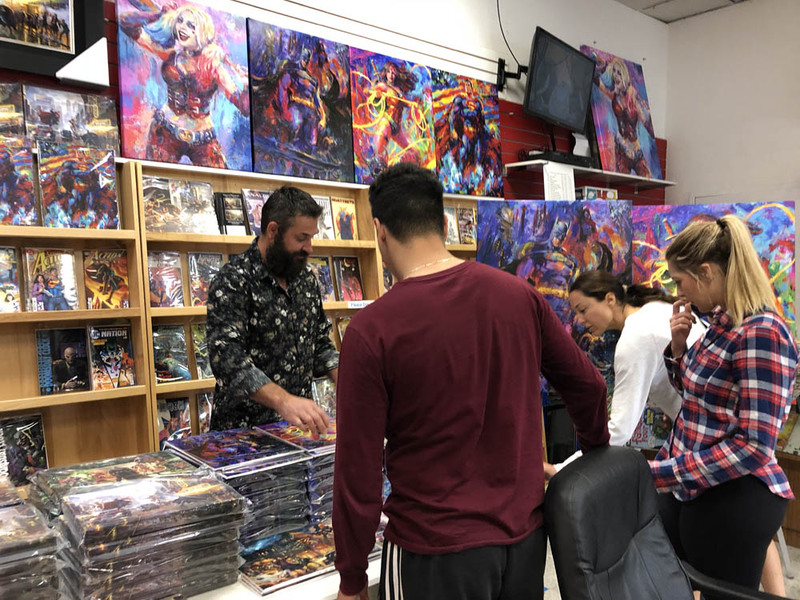 Blend also showed previews of other Super Hero Fine Art paintings that he is working on, featuring beloved DC heroes and villains. 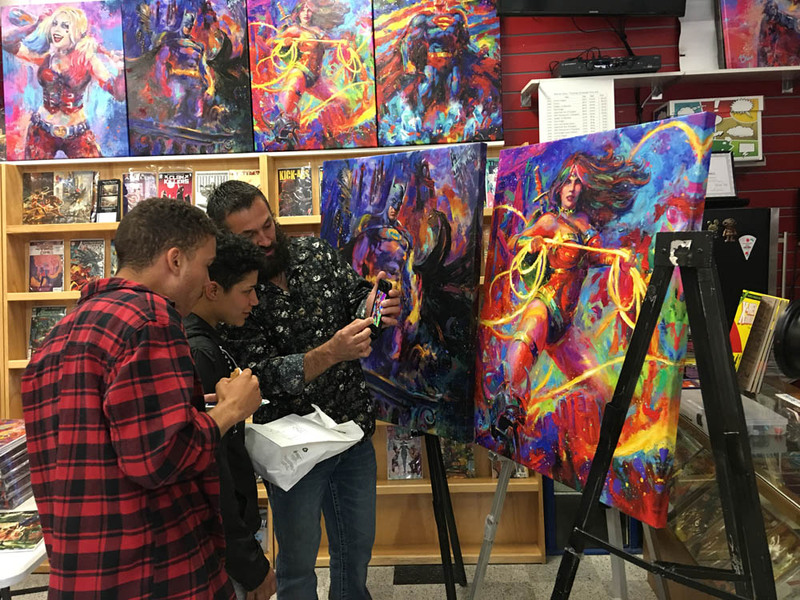 These new highly anticipated paintings will be officially unveiled during Blend’s 2018 and 2019 Comic Con appearance schedule. 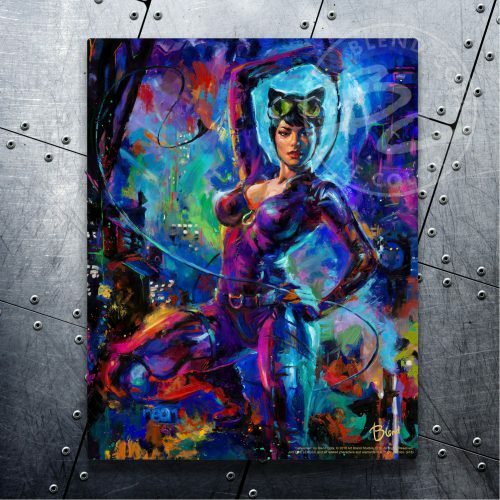 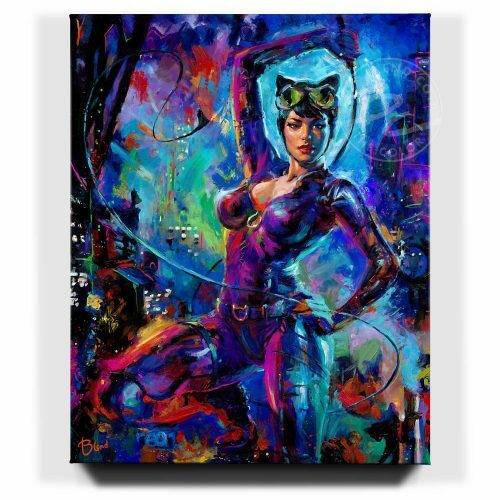 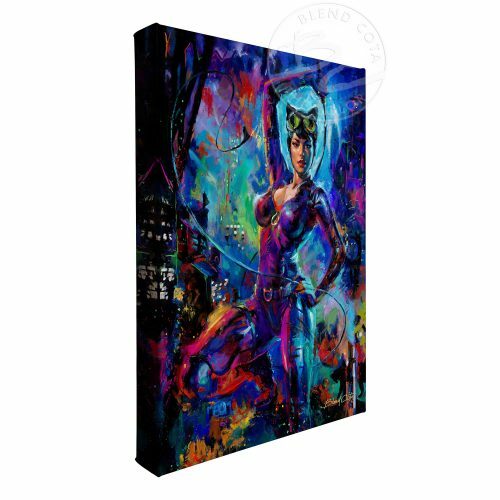 To see Catwoman and other releatedSuper Hero Fine Art collectibles, scroll down for more info.